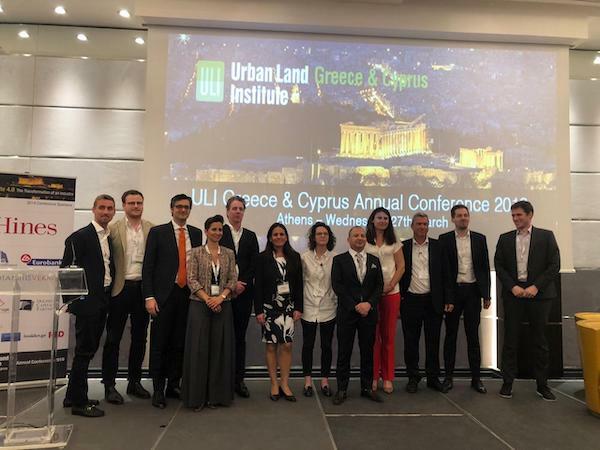 8G Capital Partnersproudly sponsored Urban Land Institute Greece & Cyprus’ inaugural conference in Athens on the 27thof March, on Real Estate 4.0. Our MD Tassos Kotzanastassis moderated the panel on innovation featuring Florian Kuhlmann from LEVERTON, Anne-Claire BARBERI from ARP-ASTRANCE and Menelaos Ioannidis from Lightsource Labs. The fantastic line-up of speakers included Sharon Landes-Fischer from Tel Aviv Global, Ed Bouterse from Workthere, Christos Misailidis from IWG plc, Filippos Zakopoulos from Found.ation, Johannes Menge from Zoku, Igor Sancisi from Greyfield and Frank Uffen from The Student Hotel.